Wouldn’t it be great to get more traffic to your local business on a small budget? 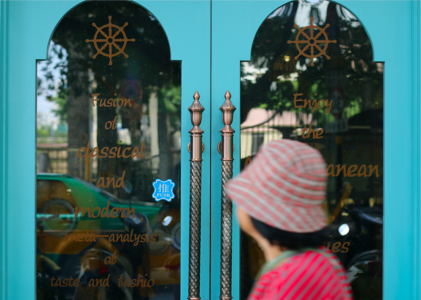 Facebook is a great place to drive people to your stores — why? Because Facebook measures true impact by calculating calls and in-store visits. 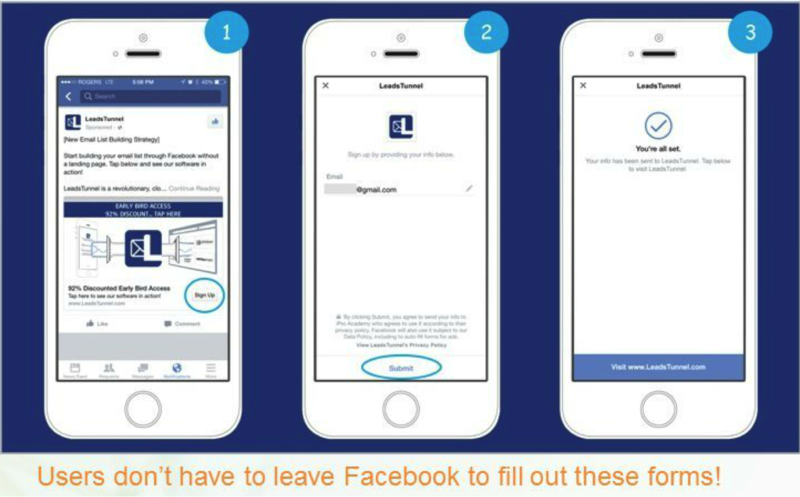 In a recent webinar with Acquisio’s very own Ahmed El Wassimy, the Product Owner of Acquisio Social, outlined why advertising on Facebook is essential for all local business owners looking to connect with their audience online and track those conversions back to their store. And who doesn’t want that? In this post we’ll take a look at the most effective ads types for local business owners, how local awareness ads will help crank up your online advertising game, and lastly, share some key hacks to make sure your campaigns perform at the highest level. The most important thing to do if you’re new to Facebook advertising is to experiment with different Facebook ad types to find what works best with your particular audience. No matter what type of Facebook ad you choose, each ad is set up with a particular marketing objective in mind. Maybe you want to post traffic to a Facebook post, or maybe you’d prefer to get video views. Whatever your objective, Facebook ads can be targeted to track for specific conversion metrics, including those that matter most to local business owners. Of the listed marketing objectives, anything with an orange dot helps with brand awareness, so people who haven’t heard of your business can become aware. 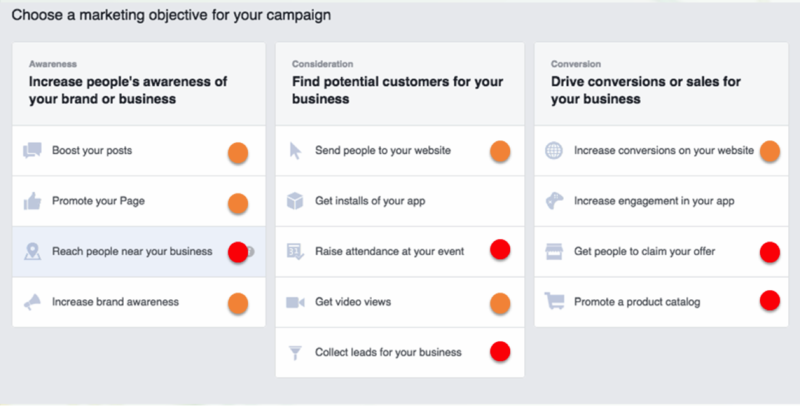 The red dots indicate ad types that are especially interesting to local businesses, and include things like helping you to reach people near your business and promoting a product catalog. Once you’ve chosen your objective, you need to choose the ad type. Here are some that might be beneficial to your business. These ads target users based on past actions or inactions. If someone was about to buy something from your online catalog, but abandoned their cart, these perfectly timed ads will appear on their Facebook feed. To create these ads you will need to upload your product catalog to Facebook and make sure your Facebook pixel is installed correctly on all your pages. 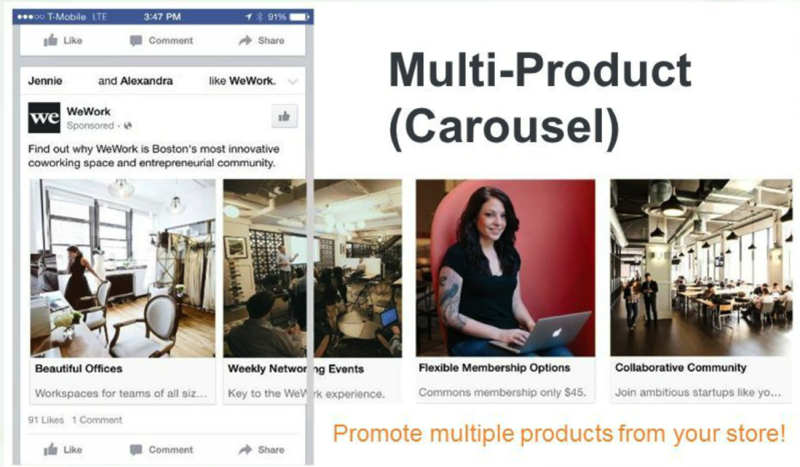 From there, Facebook automates all the retargeting so you don’t have to worry about it. These ads are perfect for retailers hoping to sell products through Facebook ads. You can also run multi-product ads, to promote multiple products from their store at once. 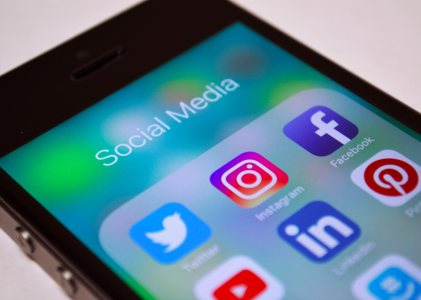 If you aren’t selling products online and you want to leverage Facebook to connect with people who may be interested in buying your product later, you can run lead ads. These ads types allow you to ask your audience to sign up to get more information or special offers. Lead ads, unlike other ad types, don’t lead people away from Facebook. They can fill out the form directly in Facebook, and their email and name is already pre-populated in the field. All the user has to do is review and submit, and that info will be sent to you so you can reach out from there. 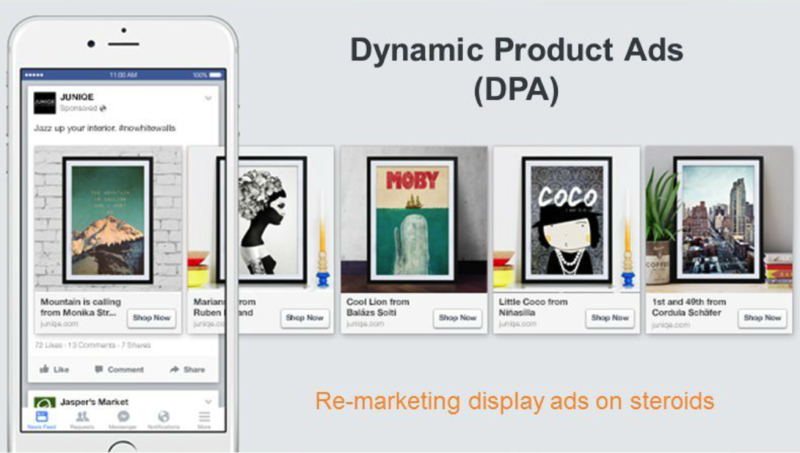 If you were excited about Dynamic Product Ads or Multi-Product Carousels, Interactive Ads can help you engage with your audience more than any other ad type. 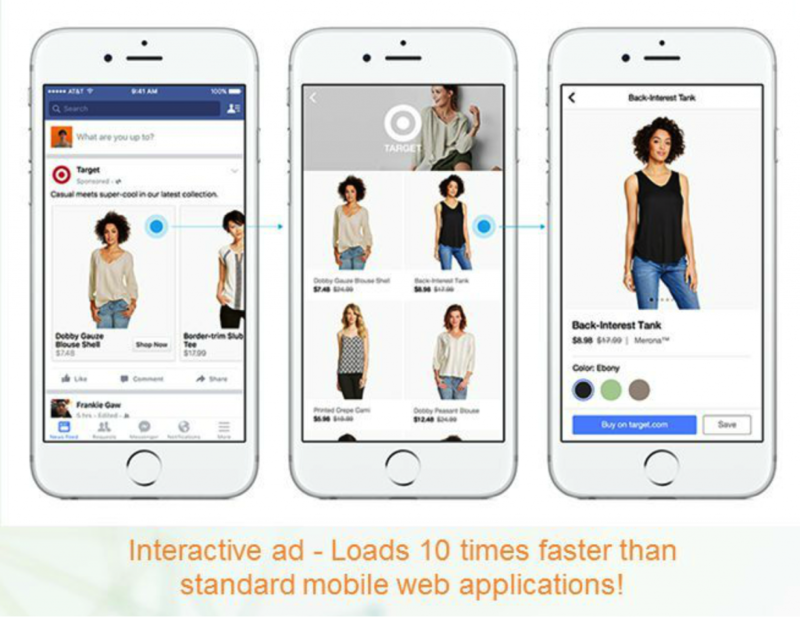 That’s because previous customers can swipe through a carousel of images, zoom in, zoom out, save or buy directly from the ad, AND the ad loads 10X faster than other ads (although they are only available on mobile). Major brands experimented with these ads, including Target, and found that average user engagement lasted 70 seconds! If you don’t have products to sell and would much rather connect with people on Facebook in order to get them to come to your event or store location, you can use Offer or Event Ads. For Event Ads, you can boost the reach of your event by either running ads to increase awareness for your event to people in your area. Another option would be to drive people directly to your website or app to buy tickets. Going back to the marketing objective you want to achieve before launching an ad, if you want to connect with people near your business, then you’ll be launching a Local Awareness Ad. These ads can target people within a specific range of your business and show everyone the address and phone number of the location closest to them, even as part of a larger national campaign. You can create ads for all your locations (or just one location if you only have one store) in just a matter of a few clicks. Once set up, Facebook’s Store Visits metric will compare a customer’s cell phone location to your store’s location. 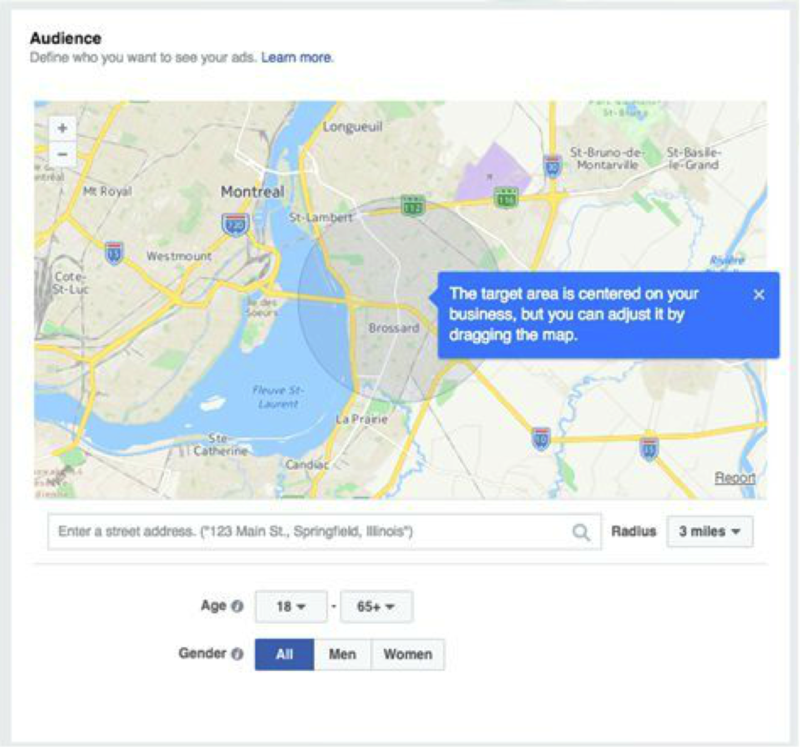 If the store and cell phone location match, Facebook indicates that the customer who saw your ad visited your store. If a customer does not share their location information with Facebook, their visit to your store it won’t be counted, so this metric is not exact. Major advertisers have used store visits to better understand foot traffic to their locations after running local awareness ads. French retailer, E.Leclerc, was able to reach 1.5 million people within 10 kilometers of their stores and found that approximately 12% of clicks on their ad were followed by a visit to their store within seven days. Advertisers can also use the Offline Conversions API to tracks sales. This Offline Conversions API lets Facebook connect directly to cash registers and ecommerce sales software, like Square, to pull real-time transactions results both in-store and online, as well as calls received. Plus, this information is gathered alongside demographic insights, which help local businesses learn who is actually buying from them so they can tailor future campaigns to the demographics most engaged. These metrics help show you how much you are earning in your store for every Facebook ad dollar you spend, which is so valuable for local businesses. Being able to track sales and store visits helps justify costs, but you also need to know how to stretch your tight budget to get the most from your Facebook ads. Here are a few suggestions. If you target a small local audience with these ads, the reach may be small, but the impact is potentially large if you have the right relevant content. Before paying for an article boost, which is more about awareness than sales or conversions, ask yourself if you would read your own content. If not, invest your money elsewhere. Reviews are powerful advertising tools because they help build or establish trust with your audience. All you have to do to use reviews in your Facebook ads is to find a great review of your brand online. Use that review or quote in an ad by overlaying the text with a photo, and then use that photo to reach your local audience. These review ads, because they help establish trust, will really help to increase conversions. If you’ve seen major sporting events, you know advertisers pay big bucks for their logo to be featured around the arena. You can have the same effect on Facebook during sporting events, using local awareness ads. 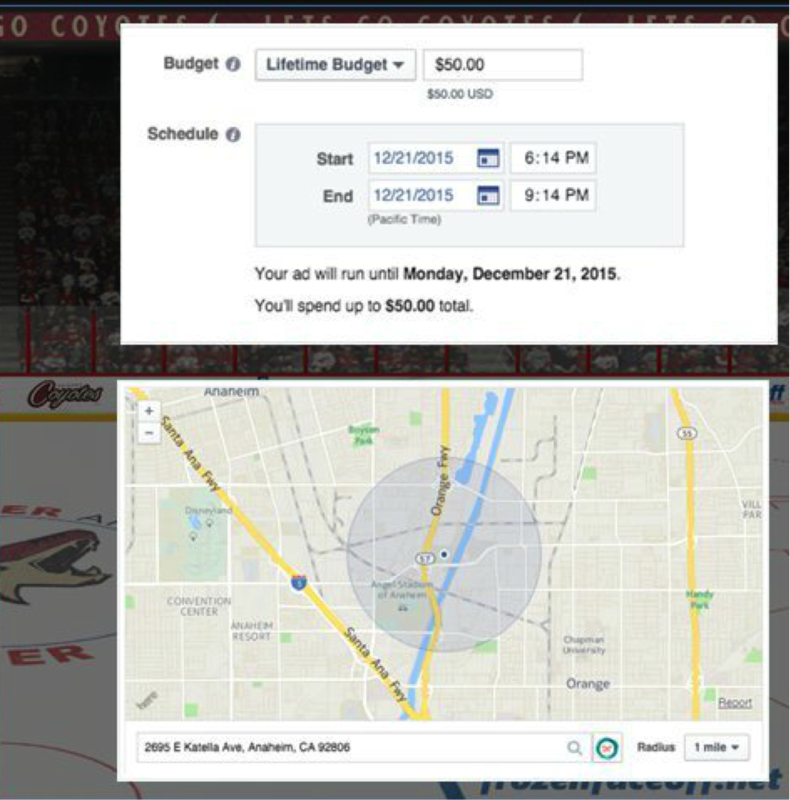 If you want to market your product or service during a hockey game, for example, use the address of the venue where the game will be played, and set the time for 30 minutes before until 30 minutes after the game. If what you’re selling is in line with the event, then you know there’s a room packed full of people you can market to. Anyone at the game who meets your demographic will see your ads when they check Facebook. Make sure to customize your ads with the team colors and logo for the best effects. It’s not enough to just have a call to action button, you need an arrow pointing to the button. 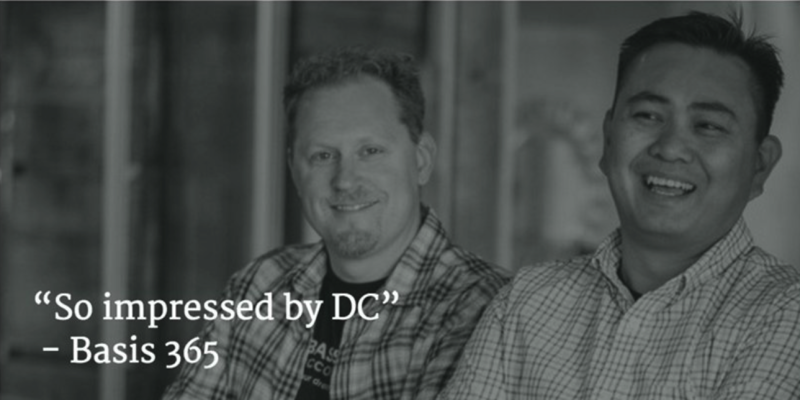 It grabs attention and increases the number of people who click on the call to action. If your CTA does not lead to direct conversions, make sure you remarket to the people who clicked your ad after first sending them to a killer landing page. If college students align with your target audience, you can target multiple college campuses across the country to engage with these students. Then create and cater your ads to different campuses to spread awareness for your local business. Depending on your marketing objectives, there are different ad types that can help your local business grow, including dynamic product ads, lead ads, interactive ads and event and offer ads. If your objective is to reach people near your business, Local Awareness Ads can help you connect with your nearby target audience, and allow you to collect information on the number of store visits and offline conversions generated from your ads in Facebook reporting. To profit most from Facebook initiatives, you can try several hacks, including promoting blog posts that feature your target audience’s city name, using reviews and testimonials in ad images, setting your ad’s location target to a sporting venue during popular games, adding arrows pointing to your call to action buttons in ad images, and targeting individual college campuses. These local ad opportunities make advertising on Facebook essential for all local business owners. If you want to learn more about Facebook for local, watch the full recorded webinar with Ahmed El Wassimy of Acquisio and Blair Symes from DialogTech.